Blue Beetle was founded with a deep conviction that mixing creativity, technology, and empathy can change behaviour and improve the way we live, work, and play. This combination is infused into our approach helping us empower brands large and small to understand better and communicate with (not at) their audiences. We believe iteration is the best way to build a product that lasts. We utilise a lean approach, taking an idea from the drawing board to minimum viable product quickly. Our teams ensure a custom platform with the flexibility to respond to changing markets, new technologies and the needs of your users. This is the most important step in our process: listening to you. The foundation of any great design is built through understanding where you’re currently at and where you want to be. We gather information about your business, target customer, competitive environment and your biggest goals to create a benchmark that is uniquely yours. We have your goals, now it’s time to get down and dirty. We collaborate with you to determine the best strategy to make an emotional connection with your ideal customer. Every headline and it’s supporting content should be written with intention, each call-to-action crafted to drive a conversion and every detail honed to deliver on your goals. Great design is more than just aesthetics. It can change the way we feel about a company and the products and services they offer. We employ thoughtful design to create a meaningful experience for your brand and its customers. Wireframes and mood-boards are developed to aid in visualisation, followed by design mock-ups and the final product with pixel perfect details. in whether it will stand the test of time, and of course, various browsers and screen sizes. We develop custom solutions on multiple platforms to provide you with the best fit for your project’s functionality. It’s time to launch your website, build momentum and move mountains. This is where all the blood, sweat and tears begins to pay off. We finalise the product, run the last check-lists and tick off the remaining QA tasks before launching it into the world wide web. Break out the champagne, let’s celebrate! Let’s capitalise on your brand spanking new website and get your target audience to visit it and convert. We help you make the right marketing moves to drive your intended audience to your new website via consulting on content marketing, SEO, email marketing, targeted ad campaigns and more with a laser focus on your goals. The best digital products and services are made by designers and engineers working together in the same company - that is how we roll. 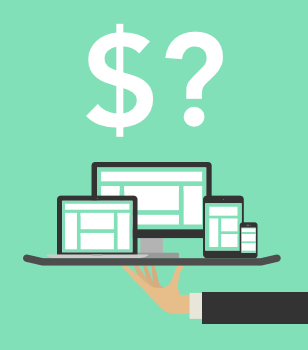 Want to know how much a website costs?